Growing up, I have always loved going to art museums and I would constantly jump at any opportunity to see a new exhibit. My love for art developed on its own after watching documentaries, reading books, and visiting museums on my own time. Art was never taken very seriously in my high school so I had never really had the chance to express my love for art in other mediums besides photography, which I had taught myself over the years. I had always appreciated those who had talent and an eye for painting, drawing, designing, as well as other types of art, but I never really put enough time and effort to carry that out myself. After gaining inspiration from my friends and events happening at the time, I decided I loved art enough to minor in it. Although I quickly realized before I could get to the classes I actually wanted to take, I had to take Art 100: Basic Drawing. 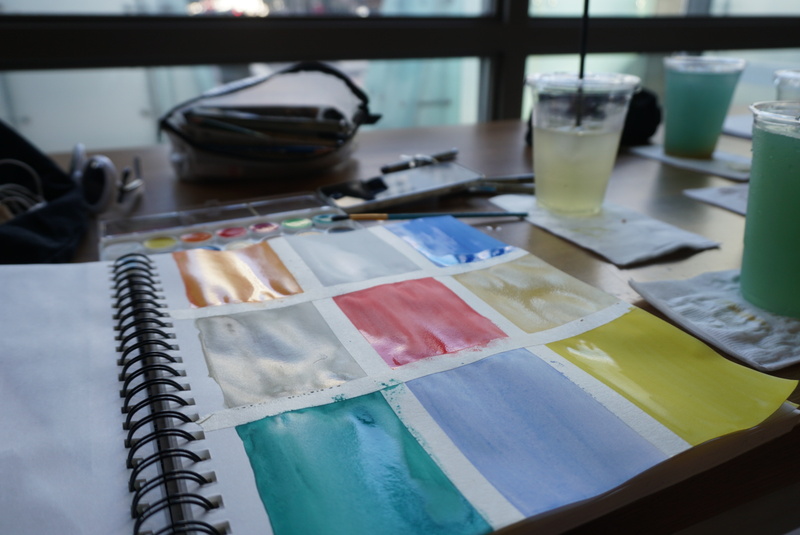 I had never taken a single art class before and I was very skeptical of whether or not this class would discourage me to pursue my minor in art, but little did I know, this class was going to change everything for me. My professor made sure to stress the fact that many of the people in our class were coming from all types of art backgrounds with different levels of experience and that everything would be graded on effort, rather than how well the actual project had been executed, which put me a bit at ease. I met multiple friends in the class who were all very different and expressed varying opinions and thoughts, though I started to realize everyone’s goals while taking the class were the same: to express our individuality and not only learn from our professor, but each other as well. Throughout several weeks of instruction, I could feel myself getting more comfortable drawing. I was motivated and I felt more able to place my imagination onto big sheets of drawing paper. I found myself buying other sketchbooks of my own where I would draw what I wanted in my free time, often including poetry and stories of my own. I had much more frequent bursts of creativity over the period of time where I was taking this drawing class than I ever had in my life. It inspired me to think for myself and create things that I wanted rather than focusing on my audience, or in this case my professor. At the end of the semester, when I collected all of my work, I could see my confidence and skill increase from sheet to sheet. For the first time in my life, I no longer felt like I was just an art lover, but an artist. Since that drawing class in the Fall 2017 semester, my love for art has gotten more and more profound. From working around different supplies, how basic geometric shapes can become complex, amazing things, expressing myself through pictures, doodles, and images, and much more, I have learned so much. Though, I think the most important lesson I learned while taking basic drawing is that maybe you can’t truly learn to appreciate art until you try to make it yourself. Many popular artists, such as Tyler, the Creator, Mac DeMarco, Foster the People, and many more have been releasing their albums on vinyl and over the past few years, it has been becoming more and more popular and what’s “old fashioned” is coming back again. Even I have personally purchased a record player recently and started collecting new and old vinyl and I love it all so much. What makes vinyl so different from different platforms, such as CDs, cassettes, and MP3, is the physical beauty, buying experience, and sound that comes along with it. Besides seeing the actual vinyl in all it’s 12” beauty comes the album artwork and inserts that make each album and LP unique. 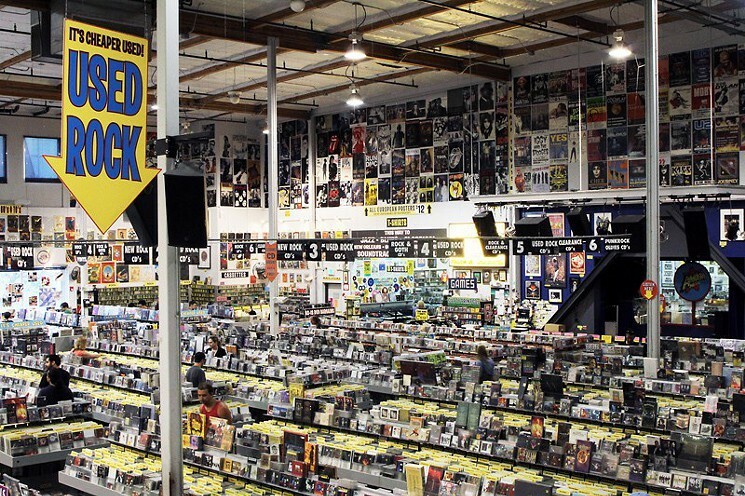 Then when going to a record store, such as Amoeba Music in Hollywood, San Francisco, and Berkley, or a local one such as Full Contact Rock-n-Roll in North Park, the process before the actual purchase is an entire trip alone. From searching through the boxes and boxes of used vinyls and looking through organized sections of genres and artists comes a relaxing and enjoyable pastime that allows a music lover to take in all aspects of what is around them. Lastly, vinyl just sounds different. From the crackle of old records to the crisp, clean sound of instruments on brand new albums, the entire listening experience is a different animal that audiophiles, music lovers, and old souls alike can surely enjoy. After buying my first record in the summer of 2016, I have become more and more interested in vinyls and collecting them. It wasn’t until I finally got my record player this year that I realized the big difference in my music experience. Not only is vinyl beautiful aesthetically, but in every aspect of it is alluring and magical to me. After listening to Tyler, the Creator’s highly anticipated fourth album, when it came out in the summer of 2017, I knew “Flower Boy” was going to be one of my new favorite records. The dreamy sounds, ’90s hip-hop influences and all-star features were only some of the aspects that made this album a true gem in my eyes. “Flower Boy” gave me a sense of familiarity and I felt like I could relate to it more than his earlier works, such as ‘Goblin” and “Cherry Bomb.” Naturally, as many artists do, Tyler announced a national tour a while after he released the album and I knew I had to go. When the day came, I was definitely not disappointed. The show was held in Valley View Casino Center on Friday, Feb. 2 and waiting outside for the doors to open was already an exciting experience. The majority of people there were dressed in GOLF clothing, Tyler’s fashion line, and realizing that so many are inspired by his style and his music was awesome. Once I got inside, I bought a GOLF t-shirt and headed towards the general admission area in attempts of getting a chance to see the man himself up close, though I ended up standing in the back where I could actually see over people. The opening acts included Taco playing a DJ set and Vince Staples, and they did a good job at hyping up the crowd. When Tyler finally took the stage, he opened with “Where This Flower Blooms” and though he performed a good chunk of “Flower Boy,” he also brought back some old favorites like “IFHY,” “Yonkers,” “F*cking Young” and “She.” The stage lighting and design were perfectly matched to the aesthetic of the album’s cover art and music and I loved every aspect of it. Hearing Tyler live was an entirely different experience from solely listening to his music he sounded even better than he does on the record itself. Tyler’s ability to bring energy to his performances amazes me and I wish I could go to another one of his shows for this tour, but I’m sure I’ll see him again soon. On Nov. 11, Wyatt Shears of The Garden headlined a late night show for his solo project Enjoy in Santa Ana’s Constellation Room at the Observatory. Starting at 11 p.m., the show lasted until 2 a.m. and had multiple other bands perform, including Makeout Reef, Capital Wasteland, Distractor and Blivet. Each band played a 30 to 45 minute set and the artists were pretty different from each other. Tickets were 10 dollars and I personally think it was worth the drive to Santa Ana from San Diego to see all five bands perform. I was mostly excited to see Wyatt play in Enjoy rather than The Garden, because I have never seen him play solo. When Enjoy finally started setting up on stage, I was surprised and really happy that Wyatt’s brother, Fletcher was going to be on drums. Before seeing Enjoy live, I was not aware that Fletcher still played a part in Wyatt’s solo band and I was excited that I was able to see both of them at the same time. They are both on my list of favorite artists as of late. Although all of these things were great, I was honestly a bit saddened at the fact that Enjoy’s set was so short! Because they were headlining this late show, I thought they would play a longer set, and my friends and I drove up to Santa Ana from San Diego, so we were all honestly disappointed with how the times of the sets were handled. On Instagram, the set times were inaccurate and out of order, which made it frustrating. The audience seemed to be visibly upset because of that. Immediately at the end of Enjoy’s set, the lights were turned back on in the room and everyone started leaving reluctantly. I am very glad that I was able to see my favorites, Wyatt and Fletcher Shears, though I wish their sets were longer and the information about the event was more clearly stated on social media. But, for the price of 10 dollars I still feel like it was worth going to this show for sure, and I definitely had a great time getting to see the other bands as well.